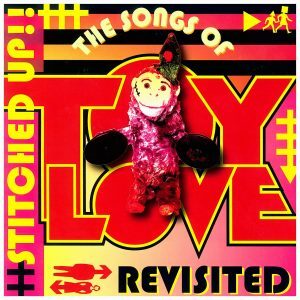 It was a great honour to be able to contribute to Burning Sky’s Toy Love tribute album, Stitched Up in mid-2010 as Toy Love was one of our favourite bands. As most of the other bands contributing to the album had no idea which songs were which we were able to nab one of the best: Pull Down the Shades. 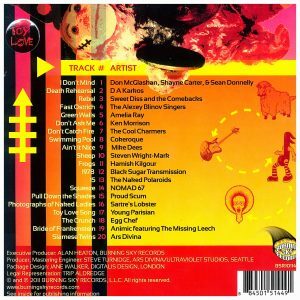 Shades was recorded in 2010. Recording proved challenging as we were spread across three countries, there was no opportunity to all be in the same room at the same time. We had to record in different cities, transfer tracks electronically and trust that it all came together. We think it did. Our version of Shades is closer to The Enemy’s than to Toy Love’s but it’s acquired its own Scum-like idiosyncrasies along the way, including dropping the key by two tones so the vocals could have any hope of hitting the high notes. We only had one requirement when we set out to record this song – it had to be faster than the original. It is. Stitched Up CD cover front and back. 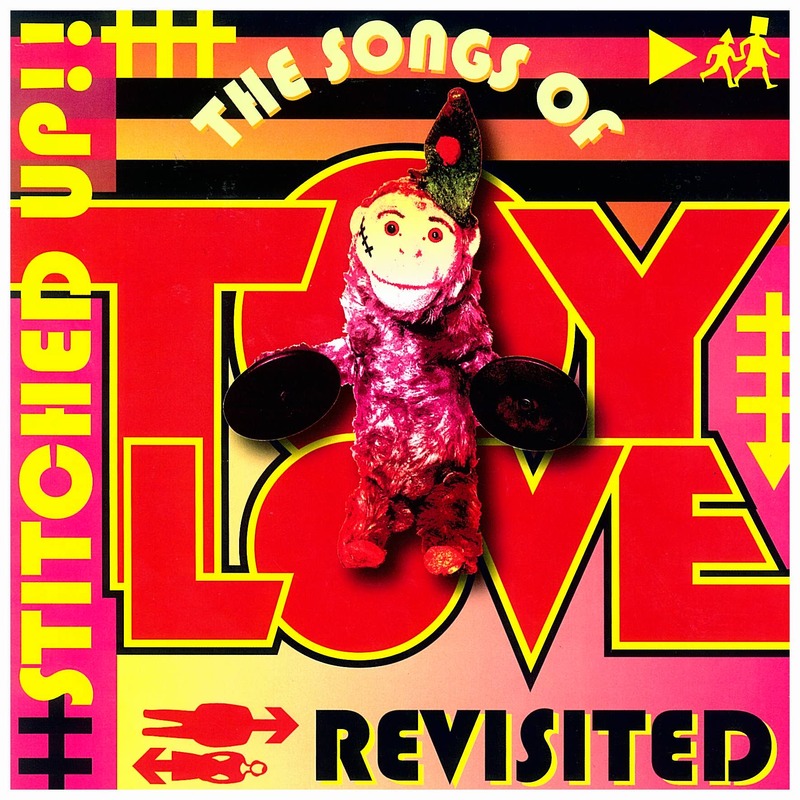 Stitched Up promotional poster, based on a old one of Toy Love’s. 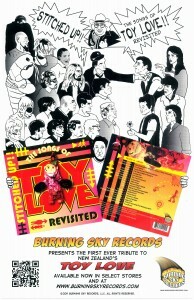 The members of Toy Love are on the right with the contributing artists on the left, with Jamrag grabbing Chris Knox by the throat. This is artistic licence. Jamrag has never grabbed Chris Knox by the throat.